Discover our range of CBD E Liquids for the Electronic Cigarette. 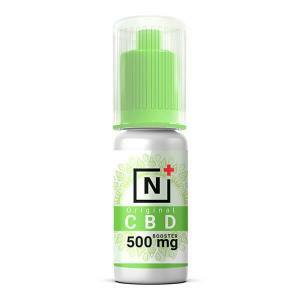 The CBD is a molecule which gives a light relaxing effect and can be constituted in the aid as part of smoking cessation or nicotine withdrawal. Often confused with the THC, the CBD is not a psychotropic and has no euphoric effect. The CBD E Liquids are sold by Le Petit Vapoteur made in France, which are from CBD Crystals. Analysed and Controlled by a laboratory, they guarantee a rate of THC inferior of 0.02%, well below the 0.2% threshold set by law. CBD E Liquid associated with Red Fruits and Wild Berries. A successful duo! E liquid CBD, lightly spiced Fresh Mint with aromatic characteristics. The CBD E Liquid for the Electronic Cigarette contains Cannabidiol, a molecule which is present in Cannabis in the Hemp (Chanvre) Industry. Opposite to THC, the CBD has no euphoric effect and does not provoke the dependancy. The CBD however does have soothing effects and can react efficiently on stress and other symptoms which are missing. The CBD are, in consequence, a new tool which is interesting for those wish to successfully quit smoking or Nicotine. A CBD E Liquid is not considered to be medical, can not be and will never be a substitute to medicinal treatment. A CBD E Liquid must be used the same way a Nicotine E Liquid. The CBD provokes a natural "hit" more powerful than that caused by Nicotine. It can therefore be vaped with all types of Electronic Cigaretes, but has a moderate power (8 to 30 Watts depending on the rate of CBD) and avoiding all low based coils (inferior to 1 ohm). We advised you to equally provide a special Clearomiser dedicated for CBD E Liquids.